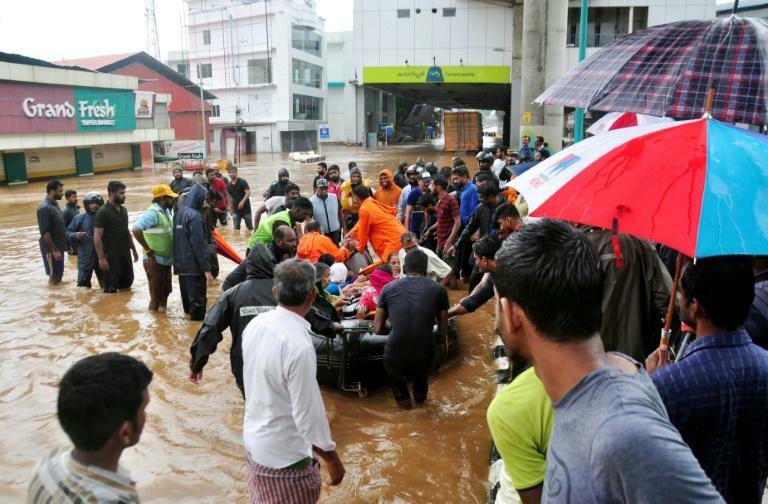 The official death toll from major floods in India's tourist hotspot of Kerala hit 86 on Thursday with media reporting even higher numbers amid warnings of more torrential rainfall. With a major rescue operation launched to help thousands of people trapped by the floods, Kerala's chief minister Pinarayi Vijayan said the state now faces an "extremely grave" crisis. Kerala, famed for its pristine palm-lined beaches and tea plantations, is battered by the monsoon every year but this year's damage has been the worst in decades. "At least 21 people have died today. The official toll is now 86," a Kerala state spokesman told AFP. Media reports said up to 30 other people were feared dead. Hundreds of extra troops were deployed across the state after Vijayan appealed for additional help. Officials have said more than 6,500 people are stranded and need rescue. Several appeals for help were relayed over social media. "Added anguish as stranded people plead for rescue on social media and their phone batteries die out on them," Shashi Tharoor, a national lawmaker from Kerala, said on Twitter. Tharoor shared a Facebook post by a Kerala resident, Devika Sreekumar, who said he was trapped on the third floor of a temple. "Over 36 people including myself and family stranded here. Phone network and charge finishing please help in any possible way," Sreekumar said. Authorities said many people were trapped inside their houses in flood-ravaged areas and more than 60,000 people had already moved to around 400 relief camps. A government statement said the water in 80 dams had now reached "maximum level". Authorities have already opened the gates of at least 34 reservoirs and dams in recent days as water reached dangerous levels. Floods have also caused havoc in other states, including Karnataka and Madhya Pradesh.